A special showing of The History Channel’s ‘Hero Ships’ film series will be held each Saturday in February 2008 at the National Museum of the Pacific War, located at 340 E. Main in Fredericksburg, beginning February 2 with the film The Enterprise CV-6. Other ships honored with a showing in the series include the USS Laffey & LSTs on February 9, the USS Texas on February 16, and the USS Samuel B. Roberts on February 23. Show times begin at 1:30 p.m. and there’s no cost for admission. Meet the talented artists of Artisans at Rocky Hill's exhibition at the opening reception of this 30 day show. Enjoy refreshments as you visit with each one about their talent and view the never before seen Turnings. Demonstrations will take place each Saturday during the show. Please call 830/990-8160 for more information. Artisans at Rocky Hill is 5 1/2 miles East of Fredericksburg on US Highway 290. Join the Friends of Gillespie County Country Schools Trail for their open house at the Luckenbach School on Saturday, February 02, from 11am to 4 pm. The Trail allows visitors to learn about the education and customs of the 19th century residents of German heritage in the Hill Country. Each month a different rural county school will host an open house and tour. Color coded maps of the trail are available at the Visitor Center at 302 E. Austin Street. Visit Villa Texas and explore the hidden bounty of cheese, honey, olive oil, pork, porcini, polenta, and much more--simple country food finds and gastronomic discoveries in northern Tuscany. Join Heather Jarman(from the Garfagnana near Lucca, Italy)and Harold Partain (McCabe Travel Group), a.k.a. "partners in culinary adventures"!, as they share first hand knowledge and passion for "eating local", plus learn details on 2008 itineraries---exciting epicurian journeys in this lesser known area of Tuscany! From 10 am to noon at 234 West Main Street. Call 830-997-1068 for more information. Donna Lafferty's One Woman Art Show "Turning Up the Color"
This event is a art show to showcase artist, Donna Laferty's paintings of contemporary art in acrylic and oil. Saturday from 6:30 - 9:00PM at Fredericksburg Art Gallery, 314 E. Main Street, experience the first look of these new pieces and enjoy a wine and cheese reception. Hours for Sunday are 2:00 - 5:00PM. This event is free and open to the public. Please call 830/990-9305 or 830/992-1106 for more information. Fort Martin Scott was established on December 5, 1848, and was one of the first United States Army posts on the western frontier of Texas to protect Texan settlers and travelers from Indian depredations . The post was two miles southeast of Fredericksburg, Texas, on Barons Creek, a tributary of the Pedernales River. The Eighth Military Department renamed the Hill Country camp in December 1849 for Maj. Martin Scott (Fifth United States Infantry), who was killed at the battle of Molina del Rey in 1847. Fort Martin Scott served as a first line of defense, keeping the peace and minimizing possible friction caused by an active trade between the Comanches and German settlers of Fredericksburg. The soldiers also represented the one constant source of hard cash for businessmen in this rural Hill Country community. As the frontier moved west of the Hill Country, the strategic significance of the fort diminished and from late 1852 through 1853 the fort assumed the role of forage depot. Fort Martin Scott closed in December 1853. In September 1866 Gen. Philip H. Sheridan ordered elements of the Fourth United States Cavalry to Fort Martin Scott to secure the frontier once again from possible Indian depredations, but the fort was abandoned by military units at the end of the year. The Fredericksburg Heritage Association now leases the land on which Fort Martin Scott was located from the city of Fredericksburg, Texas. The association has developed the property as a park and historic site and continues with archeological projects and historic renovations. Fort Martin Scott is home of several events throughout the year, inlcuding the Intertribal Pow Wow in May, the Flint Knappers' Festival in October, and the Texian Thanksgiving in November. Call (830) 997-9895 for more information. Join in this benefit at Fredericksburg Event Center for musician Rusty Weir, who is battling cancer. Tommy Alverson will host the "Rusty-Thon", along with other musicians and special guests. Enjoy food, cash bar and prizes. Tickets are a suggested $10 donation at the door. Please call 830/990-1010 for more information. 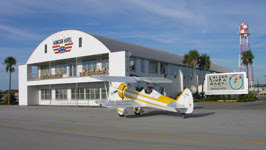 Enjoy a USO Style Hangar Dance in the Pacific Showroom at the Hanger Hotel on Highway 16 South on Saturday January 19, 7:00 - 11:30PM. Take swing dance lessons from 7 - 8PM and then dance to "The Flashbacks", a 14 piece big band. Dress the part and enter the 1940's era military costume contest. Tickets are $15 in advance or $20 at the door. Please call 830/997-9990 for more information. commercial winemakers in Texas. Free admission. 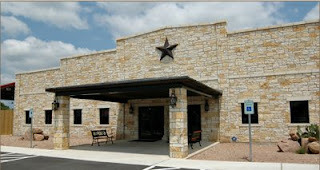 Call (830) 990-2675 or visit www.chisholmtrailwinery.com for more information. Enjoy a trumpet concert by Nathaniel Mayfield at Fredericksburg United Methodist Church, 1800 N. Llano Street, on Sunday January 20 at 3 pm. Villa Texas is having a white sale from January 18 until February 2. There will be huge savings of 25% to 75% on all in-stock Sferra linens and 25% on all Sferra special orders! The entire line of Sferra linens on sale for this event! Also save 25% on all in-stock and special order beds and all in-stock and special order Dash & Albert rugs! Plus, 50% and more on selected bedding, rugs, pillows, table linens, gifts, accessories, books, and more. Villa Texas is at 234 West Main Street. Call 830-997-1068 for more information. Fredericksburg Cooking Academy presents Lecia Duke, owner of Chocolat, will showcase hands-on methods for tempering chocolate to silky smooth perfection, creating creamy truffles and fillings for chocolate candies, and crafting other mouth-watering confections. Learn the history, health benefits, science, myth and more about chocolate. The class will be from 6 to 9 pm at Chocolat, 330 East Main Street. Please call 830-997-6848 or 877-777-6848 for more information. Enjoy some great dishes that are easy and delicious for cold weather dining taught by Molly Fowler, The Dining Diva at Runnymede Country Inn on Highway 16 South at Boos Lane, January 16 from 10:30AM - 1:00PM. Cost is $35 per person. Please call 830/990-2449 for more information. Recreate some of the dishes that "Baby Boomers" enjoyed growing up with, taught by Molly Fowler, The Dining Diva, Runnymede Country Inn on Highway 16 South at Boos Lane, January 15 from 6:30 - 9:00PM. Cost is $40 per person. Please call 830/990-2449 for more information. Hibbett Sports has opened at Barons Creek Shopping Center at 1420 East Main, near Beall’s Department Store. Hours are Mondays through Saturdays from 10:00 a.m. to 8:00 p.m. and Sundays from noon to 6:00 p.m. Hibbett Sports has some 50 locations around Texas, many in smaller markets. They carry equipment and apparel for football, soccer, baseball, weight lifting, boxing and general fitness. Call (830)997-4957 for information. Fromage du Monde – Fine Cheese and Gourmet Market will be opening late February/early March at 226 West Main Street. Enchanted Rock State Natural Area will be for their annual public hunts from Sunday, January 6 at 10:00 p.m. until Friday, January 11, at 2:00 p.m. and from Sunday, January 13 at 10:00 p.m. until Friday, January 18, at 2:00 p.m. For more information, contact Texas Parks & Wildlife at 1-800-792-1112.